In Google Chrome, there is an option to enable “Click to Play” for plugins, such as Flash, Java, or Silverlight. This makes the browser safer (especially after all the Java security vulnerability in the last time) and a little bit fast. 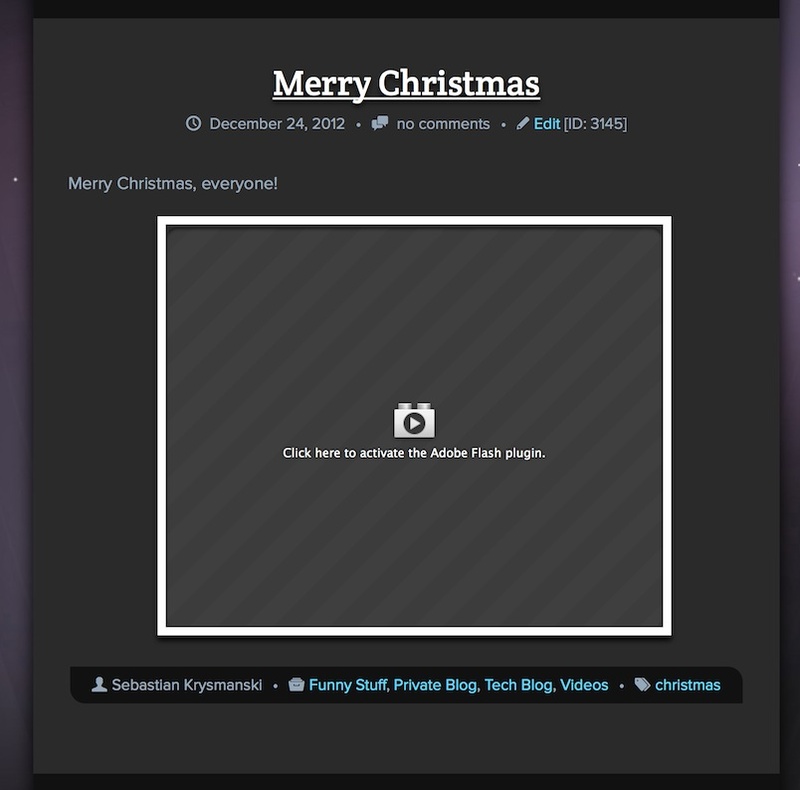 Today, I found out that this option exists in Firefox too – although its a little bit hidden. After that, when you get to a page that contains Flash (videos), Java, or any other plugin, you’ll get a “Click to Play” message for the plugin. Ever since I updated from Firefox 3.6 to 4.0 (and now 5.0) I had an additional item called “Bookmarks” in my Bookmarks toolbar. For me, it was (and is) unnecessary because I have all my bookmarks on my toolbar (and none of them in the actual Bookmarks menu). So, I was looking for a way to get rid of this button. I did some searching on the Internet but found nothing. So, I just tried to ignore this button. Today, however, I stumbled over a way to remove this button. Just right-click on an empty space on the toolbar containing the address bar (not on the bookmarks toolbar). A menu will pop up and there you choose Customize. This will allow you to add and/or remove toolbar buttons to Firefox’ main toolbar. Strangely, a new “Bookmarks” button will appear – usually on the right side. 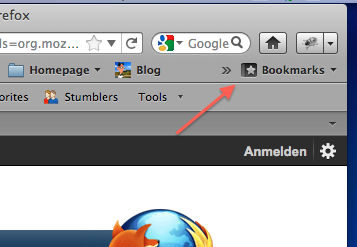 This is the “Bookmarks” button that is displayed in your Bookmarks toolbar. 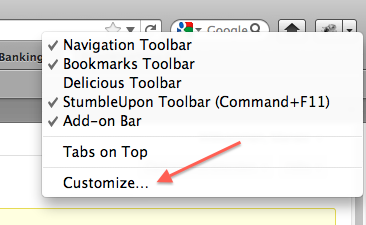 Remove it (drag it away from the toolbar), close the “Customize” dialog, and the “Bookmarks” button will be gone. Note: There are actually two bookmark buttons available in Firefox. One with a pulldown arrow to its right and one without. Only the one with the pulldown arrow will be moved to the bookmarks toolbar.